Microblading is a method of Permanent Make Up, using a microblading instrument to implant pigment into the skin giving you a desirable shape and colour. Microblading can be as natural or as full as you like, Dorthe and Emma are both a fully qualified permanent cosmetics technician. 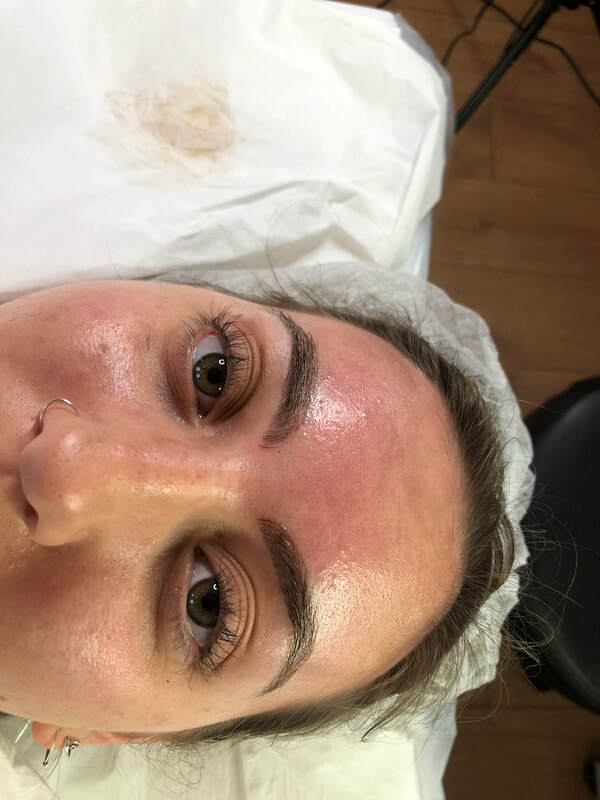 Microblading is a two step process, this includes your first permanent cosmetics treatment with a follow up 4-6 weeks later, please remember you must book in for your follow up appointment within the recommended time to get it included in the initial price. A treatment after the recommended time may incur an extra cost. Dorthe and Emma works extremely hard and take's into consideration every clients expectations ensuring they leave feeling fabulous and confident. Brows is a manual skill of semi-permanent eyebrow drawing. Shape of the eyebrows is calculated according to the golden intersection and face morphology. The pigment is applied into the surface layer of the dermis using sterilised tools. The pigment is chosen so to match the natural hair or eyebrows’ colour. After the healing, the colour may become several lighter that the natural hairs’ colour. Symmetry is achieved through Nano blade application and it is calculated while the clients’ eyes are closed because in that way mimetic muscles that can affect eyebrows’ symmetry are relaxed. Strokes are always drawn in the direction of natural hairs’ growth to achieve hyper-realistic look. Treatment is performed with disposable sterile tools, and pigments are produced in accordance with the highest standards microblading pigments). The success of the treatment depends on the: skin quality post-treatment flow and care exposure to different external factors All of these factors are out of the artist’s control, so any possibility to provide guarantees for the treatment is excluded. The skin must not be in the inflammatory process or the process of healing and regeneration before each treatment.